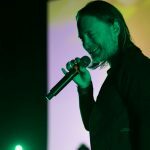 When Radiohead’s extensive tour for their 2016 release A Moon Shaped Pool came to a triumphant end this past summer, apparently one of its members still had some fuel left in his tank. 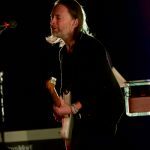 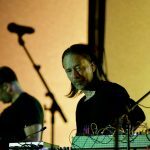 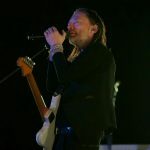 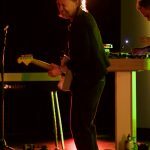 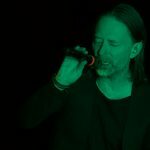 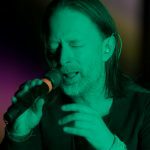 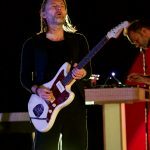 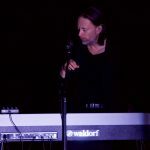 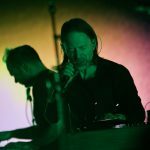 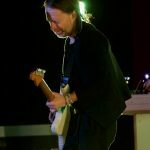 Lead singer Thom Yorke immersed himself in recording the soundtrack to the motion picture Suspiria and almost immediately headed back out onto the road. 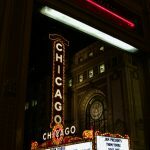 His 2018 Tomorrow’s Modern Boxes tour landed at the ornate, acoustically magnificent Chicago Theatre earlier this week and it was nothing short of revelatory. 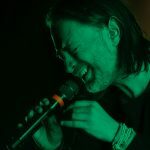 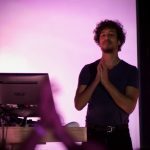 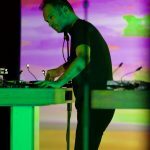 With support from long-standing Radiohead producer Nigel Goodrich and stunning visual and computer programming from artist Tarik Barri. 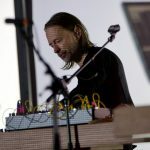 The set list concentrated on Yorke’s solo output as well as his Atoms For Peace side project. 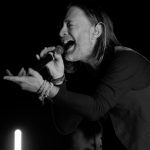 He even sated the die-hards with a run through Radiohead’s Reckoner on an evening that was visually sumptuous and aurally note perfect. 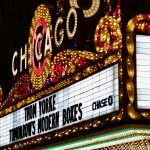 Curt Baran captured Yorke downtown on Tuesday night.